A short film by Steev Bartholomew to commemorate the Trick Factory. Bridport BMX 1999-2016 from SteevCVM on Vimeo. 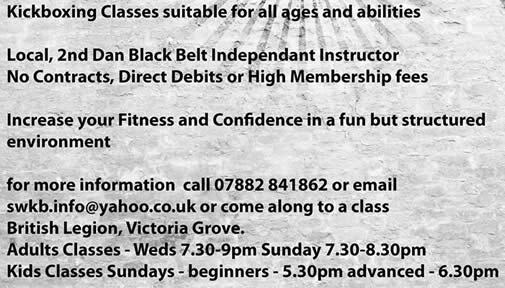 New martial arts class for adults (15+). A safe and easy to learn system based on Kick Boxing and Ju Jitsu takes place on Wednesdays from 8 til 9pm at the Scout Hut, St Swithun's Road, Bridport. 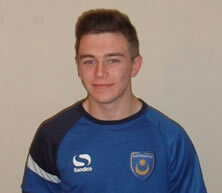 Former Bridport Youth FC Player awarded Football Scholarship with Portsmouth FC. Liam Sayers has been given every young footballers dream by signing a Scholarship deal with Portsmouth Football Club’s Academy. For the last 2 and a half years Liam has been travelling to the PFC academy and after scoring 21 goals in as many games this season, he was awarded a 2 year deal. He will start work on 1st July as a paid footballer. 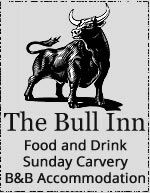 The West Dorset Fencing Club, based in Bridport, is mourning the loss of one of it’s most supportive members. 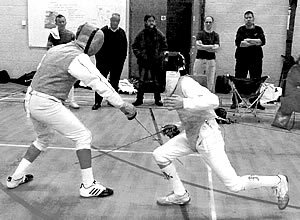 Bill Hoskyns MBE of North Perrott, has been associated with the club for several years, bringing his grandchildren to learn fencing and fencing himself with the club members. 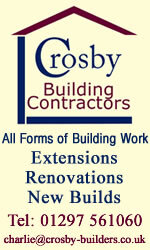 He died at the weekend after a long illness. West Dorset Fencing Club championships got off to a spirited start on Thursday with eight young fencers under the age of thirteen fighting for the Junior title. Fencing being equally a sport for girls and boys, the pool was mixed, but it turned out to be the girls’ night. From five boys and three girls, the girls were 1st, 2nd and 3rd! The winner was 12 yr.old Ellie Baldwin, who fenced with tremendous determination throughout the evening and won all of her fights, thoroughly deserving her first place. She was closely contested by her friend, Caitlin Oldham, also 12, who was runner up after an exciting final bout. 3rd.place and this year’s style prize went to one of the youngest members of the club, Isabel d’Arrigo, and it was a delight to see neat and controlled fencing from a young lady of only 8 years old ! 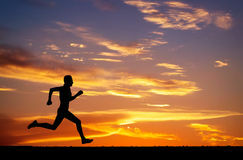 Five-a-side football for over 30's at Colfox School every Monday night at 7pm. It's an informal kick-about of mixed ability not connected to any league, but we need a few new members. People interested can phone 07764 471694 or just turn up. 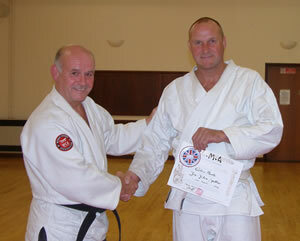 On Tuesday the 2nd of October, Colin Poole (47) from North Allington graduated as a 5th Kyu Jiu-Jitsu Self Defense. Colin is the one hundredth student of Master Horst Lindenau (60)to graduate from the Bridport public in this system. Horst, (who was born Germany) has lived in Bridport for over 20 years and started teaching martial arts here in 1993 at the Bridport Leisure Centre. 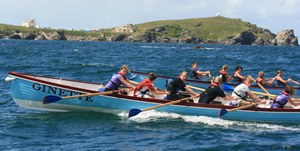 A mixed junior crew from Bridport Gig Club produced some powerful rowing to make it through to the semi-finals at the Newquay Championships recently. Not having taken part in a major junior event before, the Under 16 rowing squad travelled to Newquay with the ethos of enjoying the experience.